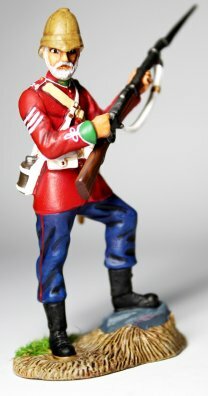 Empire Military Miniatures entered the toy soldier hobby in 2015, producing figures that are suitable for use in displays with other manufacturers and with enough diversity to make dioramas using only Empire Figures as well. 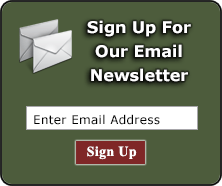 We here at Treefrog Treasures are best pleased to be a dealer in the United States for Empire Military Miniatures. The figures from EMM have an unprecedented level of detail, based on actual uniforms from the eras they re-recreate. Taken into account too are the details like policies on facial hair and awards for good conduct in the appearance of these soldiers. Originally creating toy soldiers in the WWI era, Malcolm at Empire has branched out into such diverse areas as the English Civil War between the King and his Parliament, and The Zulu War. Empire has a focus on creating figures that imply a level of interaction with both their environment and with other poses that makes them uniquely able to be placed with toy soldiers from other companies and create a seamless and organic feel to the entire diorama. Of course, Empire figures can be used all on their own to create a display as well. Select one of the categories below to browse the range. As of November 4, 2016 Empire has ceased all production. The Collector's Club is also discontinued. Please take advantage of the Sale Prices to get the figures you want!